A man lights candles on a family members’ grave during Dîa de Muertos (Day of the Dead) in Oaxaca, Mexico, on October 31, 2018. Dîa de Muertos is a Mexican holiday where family and friends gather to celebrate and remember people who have died, and help support their spiritual journey. A group of women smile and laugh during a game of bingo at an elderly care center in Patanatic, Guatemala, on January 10, 2019. Children do a traditional Maya dance at their preschool in a small community, Peña Blanca, Guatemala, on November 23, 2018. 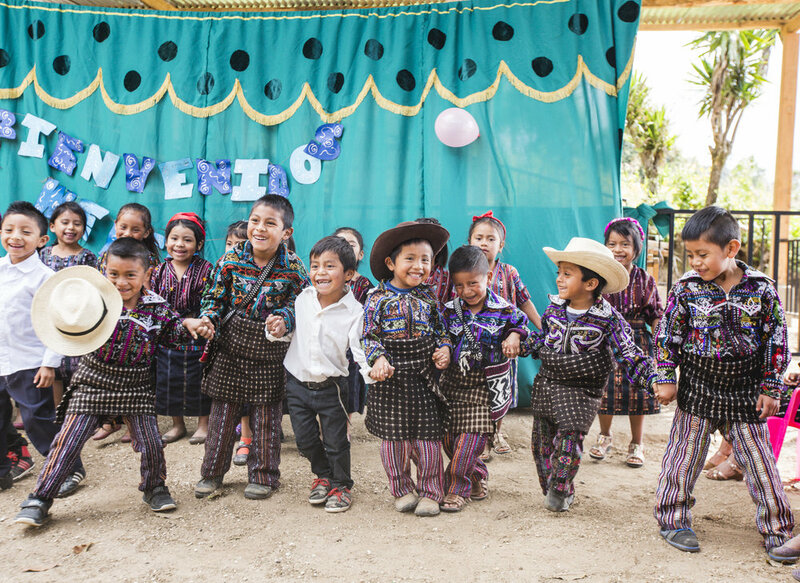 These students are wearing traditional traje (clothing) which is an essential aspect of the Maya culture. Traje is unique for its storytelling function, as each color and stitch cultivate imperative meanings. Garments serve as an expression of both identity and geography. Women cook Pepián, a traditional Guatemalan dish, in a smoke filled area, for the guests of Jorge Mario’s wedding in Sololá, Guatemala. 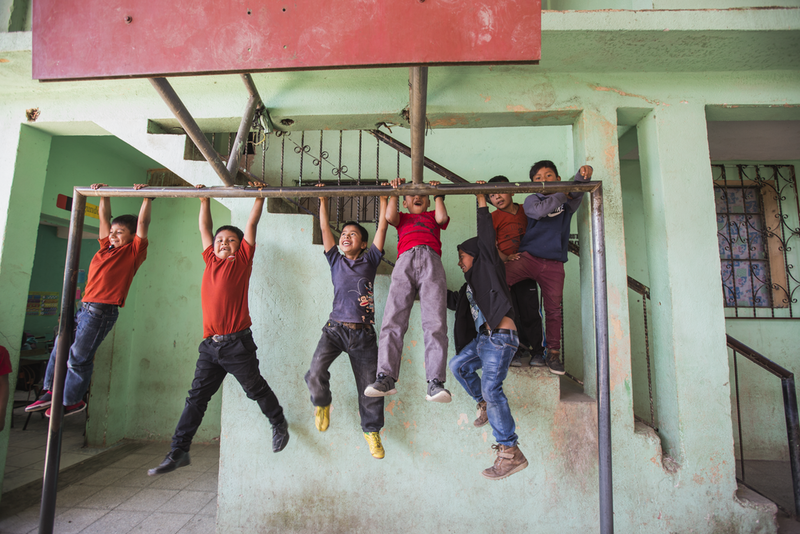 Kids hang from a soccer goal post during their lunch break at school in Tierra Linda, Guatemala. Tierra Linda is a small community up in the highlands of Guatemala where many indigenous people live. A woman carries a bucket of water on her head as she helps take care of plants in a community garden in San Antonio Palopó, Guatemala, in August 2018. The community garden in San Antonio helps provide food and jobs for indigenous people that live in this area. Women from Chukmuk, a close-knit community in Guatemala, gather hand and hand to show appreciation for one another on August 9, 2018. Chukmuk is a village populated by displaced survivors of the mudslides that took place on October 5, 2005, from the effects of Hurricane Stan. A little boy pushes his sister in a stroller around the Rosario Islands in Colombia on July, 10 2018. These kids were being playful and seeing how fast they could go around this dirt path. 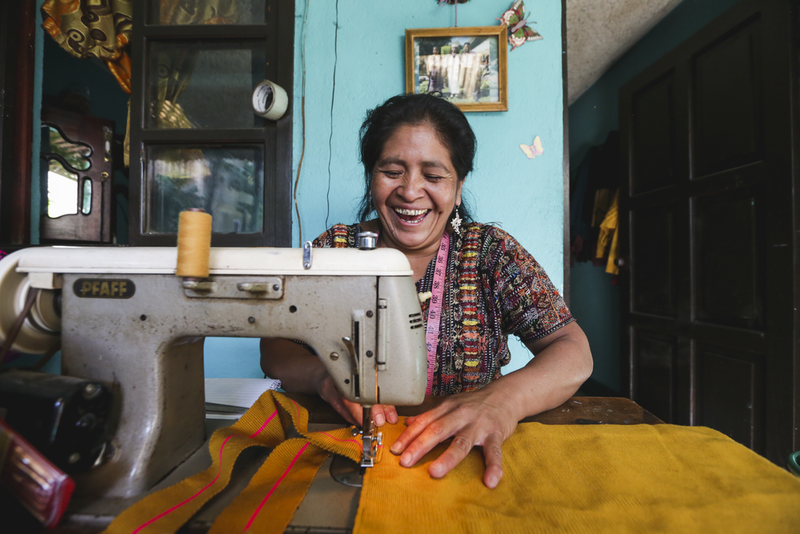 A woman artisan sews a bag in Panajachel, Guatemala, on November 14, 2018. This woman is apart of the Artisan Program through Mayan Families where the organization purchases handcrafted beaded jewelry, handbags, houseware, accessories and more, directly from local Guatemalans at an ethically determined price and sells them both locally and internationally so the artisans have a change to grow and expand their market. Two love birds kiss on the grass at Pride in Denver, Colorado, on June 17, 2018. Two people play a balloon popping game during a Christmas party at the Elderly Care Center in Panajachel, Guatemala, on December 11, 2018. Catorina posses in front of her textiles in San Antonio Palopó, Guatemala, on August 4, 2018. Catorina said that one table cloth can take up to four months to make. Students work on an activity at a preschool in Tierra Linda, a small community in Guatemala on October 17, 2018. Education in Guatemala is not free, and many children who live in rural areas of Guatemala do not have access to sustainable, affordable education. A mother holds her baby tight during a women’s health class in San Jorge, Guatemala. The Women’s Health Initiative aims to provide indigenous women with health education resources. 60 percent of women in Guatemala have never had a cervical cancer screening and through this initiative women are provided with essential resources for health. Steven Burton 11, bottom, Mario Hernandez 14, top, and Rylee Burton 6, climb on a spider web at Lincoln Park in Greeley, Colorado, June 2017. Steven, Mario and Rylee were really excited to play on the playground at Lincoln Park as it just re-opened after being under construction (Greeley Tribune Newspaper). Daniel Conroy, practices breaching a wall at the at Windsor High School on Saturday located at 1100 Main Street. The Windsor Severance Fire Rescue team was doing a training on one of the buildings at the high school that is being torn down in July, 2017. 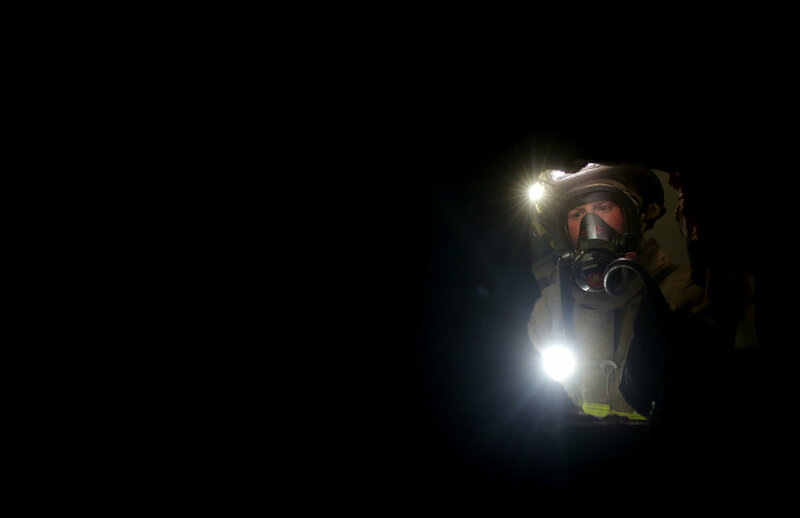 Conroy and many of the other firefighters wear masks that provide them fresh air and to keep them safe, but the district has awarded a federal grant to upgrade the masks to maximize the capabilities of these breathing apparatuses (Greeley Tribune Newspaper). Kids play in the streets of Oaxaca, Mexico, during Día de Muertos (Day of the Dead) on October 30, 2018. Día de Muertos is a very special time in Mexico where people honor and celebrate the lives of their loved ones with activities, traditional food and costumes for a week. 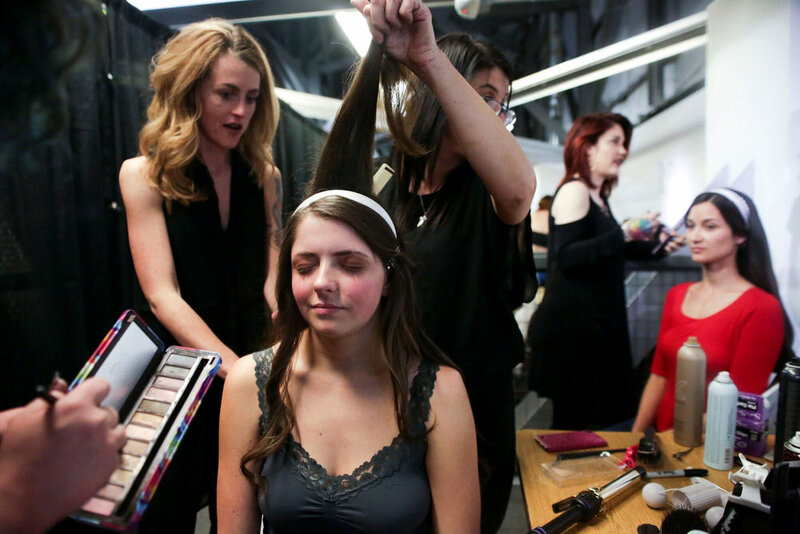 Makeup artists and hairstylists get a model ready for the runway during Denver Fashion Week on March 18, 2018 at Wings Over the Rockies Air and Space Museum in Denver, Colorado. Keith Henley performs on stage as Sgt. 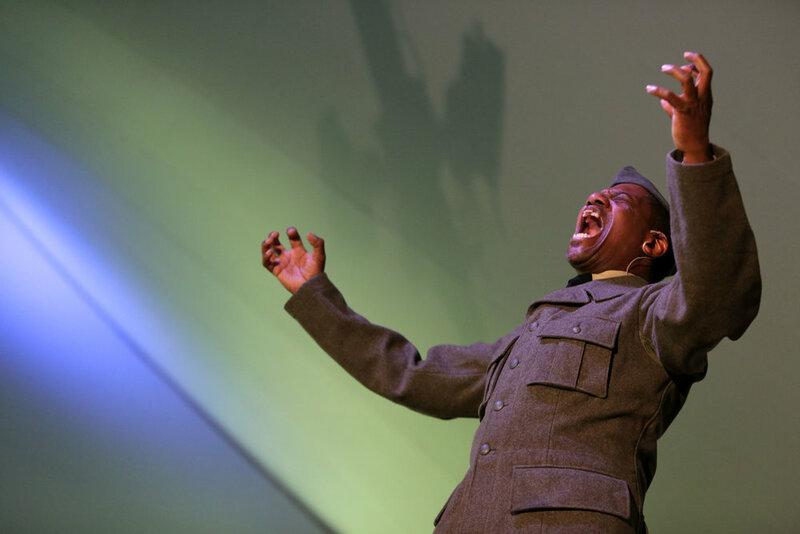 Henry Johnson at the High Plains Chautauqua, Echoes of World War 1 event, at Aims Community College in Greeley, July 2017. Sgt. Henry Johnson was a heroic black solider who was awarded the Congressional Medal of Honor by President Barak Obama in 2015 (Greeley Tribune Newspaper). A girl practices doing a three-legged dog pose during a yoga class in Tierra Linda, Guatemala at the Tierra Linda Public School. A group from SolSeed Retreats came to the school to teach yoga to these children. Chris Starkus, checks on his bees at his Lost Creek Micro-Farm in Lakewood, Colorado, on June 19, 2018. Starkus is a jack of many trades, as he is the Chef of Urban Farmer Denver, bee keeper and farmer, focusing on sustainable and local produce. Andrew Bablo left and Pat Milbery right, spray fire using a match and a spray paint bottle as they get ready to start painting their mural in Crabbe Hall at UNC in Greeley August 2017. Bablo and Milbery are using aerosol paint to make their abstract art piece. On August 24, 2017 their mural will be open to the public for the artist kickoff event featuring also food, music and more. Vice President, Joe Biden, comes to University of Colorado Boulder to deliver a speech on the importance of preventing sexual assault on college campuses. He promotes the "It's on Us" campaign, stating that we need to change our culture in order to create an environment in which sexual assault is unacceptable and survivors are supported. Faye Braaten, a chainsaw carver, works on carving an eagle out of a black walnut tree for Houston Gardens located at 515 23rd Ave., in Greeley, Colorado, July, 2017. Braaten has been carving for seventeen years and owns the store ChainsawMama located at 5641 W Eisenhower Blvd., in Loveland, Colorado (Greeley Tribune Newspaper). Locals dress up in clown costumes on October 28, 2015 to mock the GOP candidates on the business field at CU Boulder (CU Independent). A group of musicians come and play music in the middle of the march on Downing Street against Trump's Muslim ban as people dance and sing around them on February 4, 2017.